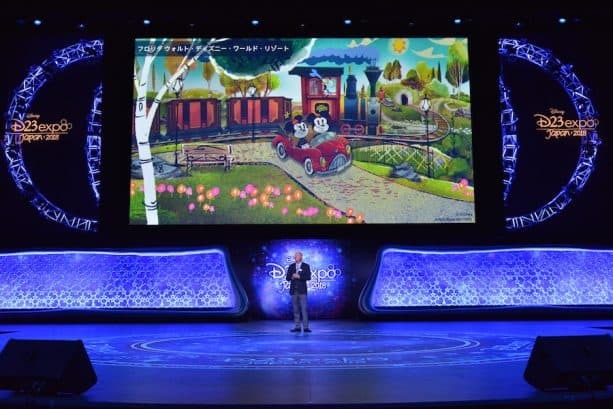 During D23 Expo Japan, Bob Chapek, Chairman of Walt Disney Parks & Resorts, shared a series of exciting new updates on many of the most popular topics talked about here on the Disney Parks Blog. 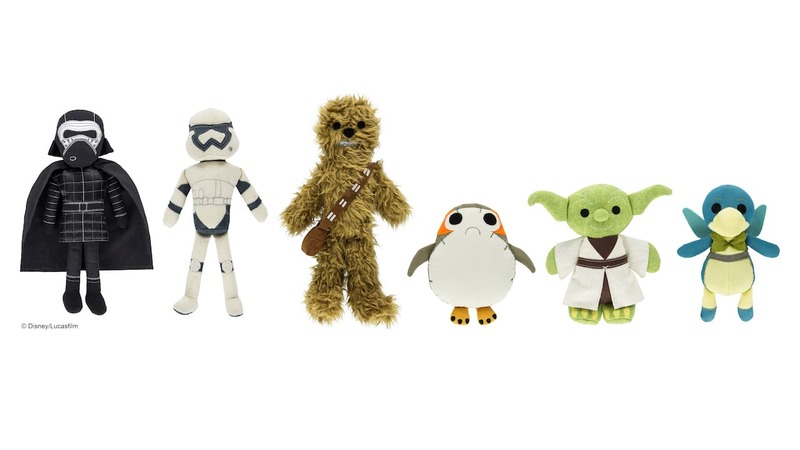 From reimagined favorites to new ways you can encounter Super Heroes, Jedi, classic characters and life-long Pixar pals, here’s a complete look at what we announced. Let us know your favorites! Our highly-anticipated Star Wars-inspired resort planned for the Walt Disney World Resort is going to be unlike anything that exists today. We shared a new look at the first-of-its-kind resort that will combine a luxury resort with complete immersion into an authentic Star Wars story. 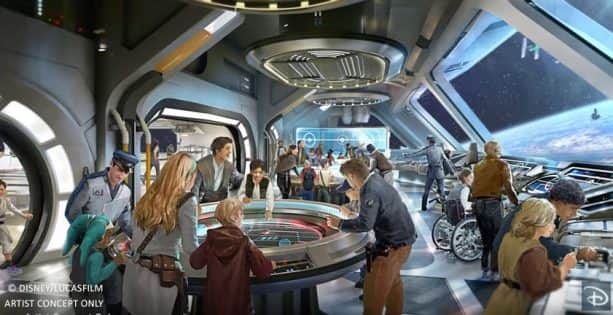 The opportunity for immersion at this resort will also stand out among all of our resorts around the globe, as it will be seamlessly connected to Star Wars: Galaxy’s Edge at Disney’s Hollywood Studios, allowing guests a total Star Wars experience. Our Star Wars-inspired resort story has more details. We also unveiled a first look at Epcot’s highly-anticipated “Guardians of the Galaxy”-themed attraction – and yes, it’s a roller coaster! With the “Guardians of the Galaxy”-inspired coaster, we’re going big. This one-of-a-kind family attraction will be one of the world’s longest enclosed roller coasters when it’s added to Future World at Epcot. 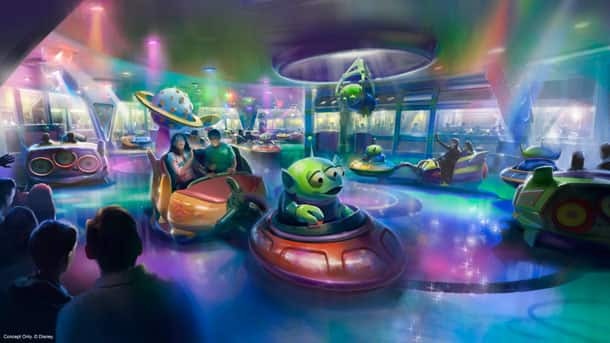 It’ll feature a unique story currently being created by Walt Disney Imagineering and include a new innovative ride system that’s guaranteed to “wow” guests. Check out more details in our “Guardians of the Galaxy”-inspired coaster story. 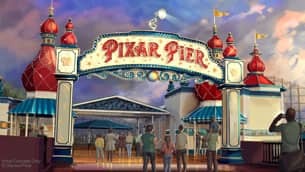 Pixar Pier will open June 23 at Disney California Adventure park featuring four whimsical neighborhoods representing beloved Pixar stories with newly themed attractions, foods and merchandise. 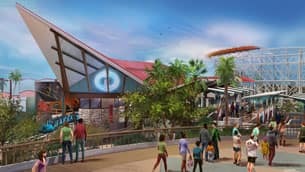 The opening of Pixar Pier will also include the Incredicoaster – a super combination of character figures, lighting and special effects that will bring the Parr family racing alongside you in a high-speed adventure. We have more information on all of the Disneyland Resort updates in our original story. 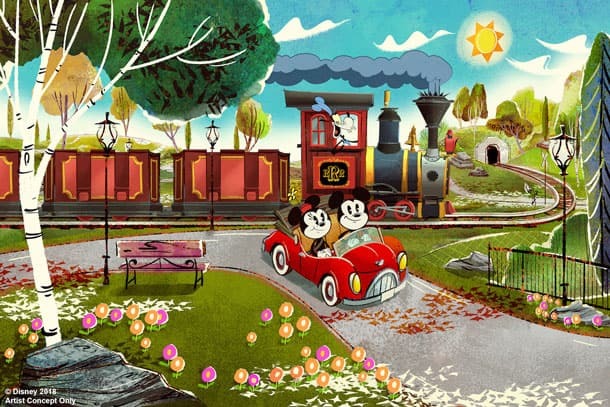 Our first Mickey-themed ride-through attraction, Mickey & Minnie’s Runaway Railway at Disney’s Hollywood Studios is opening next year and we shared a first look at what the attraction cars will look like. Mickey & Minnie’s Runaway Railway will have a new catchy theme song created especially for the attraction as well as a new experience that defies logic that we’re calling 2 ½-D. Mickey & Minnie’s Runaway Railway will put you inside the wacky and unpredictable world of a Mickey Mouse Cartoon Short where you’re the star and anything can happen. Visit our Mickey & Minnie’s Runaway Railway story to see more details. Chairman of Walt Disney Parks & Resorts Bob Chapek shared an update on the progress of the highly anticipated land, Star Wars: Galaxy’s Edge, and a sneak peek at the unique Toydarian merchandise guests will find exclusively in the land. Our Toydarian Wares Coming To Star Wars: Galaxy’s Edge story has more information. Bob also shared an update on thrilling new Pixar experiences coming to life at Disney Parks around the world. For more than 20 years, Disney Parks has partnered with Pixar to bring their compelling stories and beloved characters to life for guests visiting our parks – and this year, we’re happy to share that even more Pixar is coming very soon to Disney Parks. Visit our “Thrilling New Pixar Experiences” story for details. Adventures by Disney made an exciting announcement that a new Japan vacation is coming in 2019. 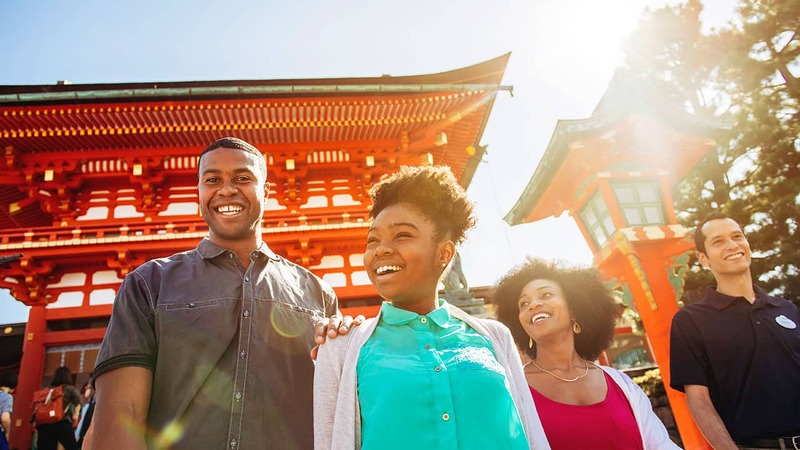 While the trip won’t open for booking until later this Spring, Adventures by Disney did offer up a few highlights in our Adventures by Disney Announces New Japan Vacation for 2019 story. 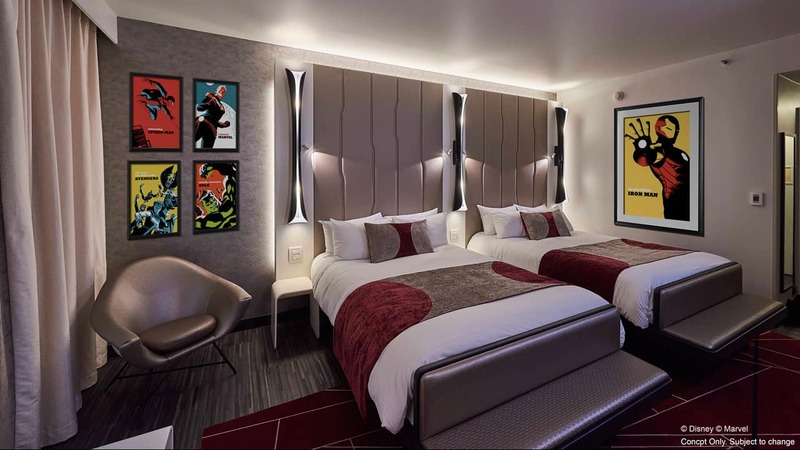 As many of you know, Disneyland Paris is re-imagining one of its resort hotels into Disney’s Hotel New York – The Art of Marvel. During D23 Expo Japan, we shared a sneak peek into one of the rooms that will open at Disney’s Hotel New York – The Art of Marvel in 2020. 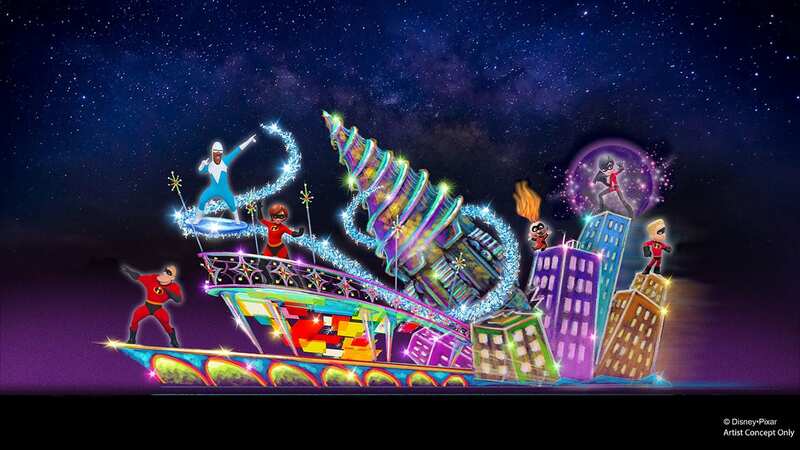 And we shared that the Marvel Super Hero universe will come to Walt Disney Studios Park, and Rock ‘n’ Roller Coaster Starring Aerosmith will be totally reimagined as a high-speed, hyper-kinetic adventure where guests will team up with Iron Man and their favorite Avengers. Visit our original story for more information. 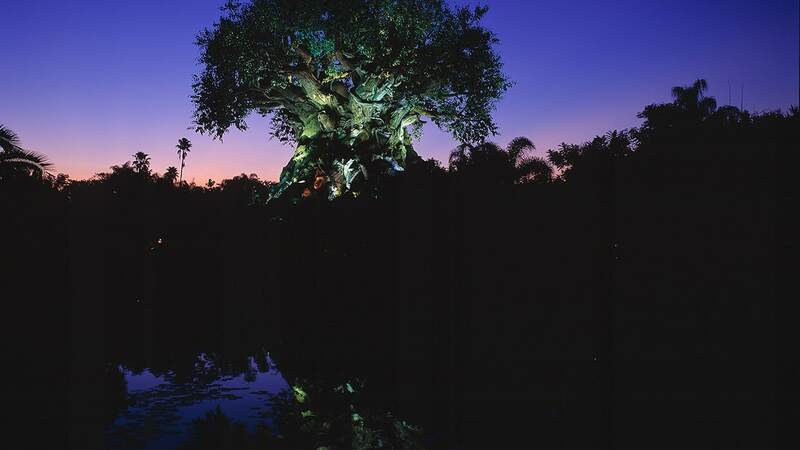 Keep checking the Disney Parks Blog for updates on all of these updates and more. And be sure to check out a special D23 Expo Japan edition of our popular Disney Parks Blog Daily Newsletter – subscribe to receive updates right here. How do you receive Disney Park Blog text messages? Andrea, they said that the Disneyland Paris version of Rock n Roller Coaster will be changing! The WDW one will remain as it is. D23 Expo Japan – what is the dates? Did Disney Cruise Line announce anything like the new itineraries for 2019? I was hoping Disney Cruise Line would announce the names for the next 3 Disney Cruise Ships coming 2021, 2022, and 2023.